The Make it a Red Letter Day Campaign received many heartfelt letters, from very brave children and adults. 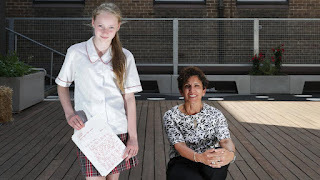 Australian Author, dyslexic and former Senior Australian of the year Jackie French happily took on the challenge of judging the many children’s letters for the other prize categories. 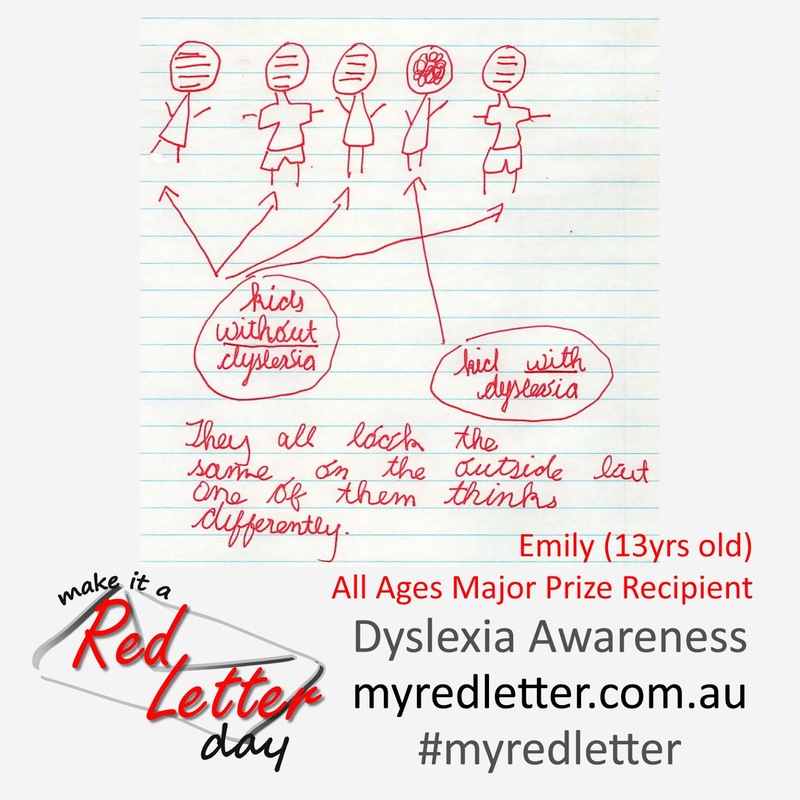 "The drawing of what it's like to have dyslexia so perfectly describes what I have lived - everyone else has neat straight lines but I have a scribble. But that scribble can lead to my making connections that others can't. The drawing shows that everyone may look the same on the outside but one of them thinks differently. And I am proud that I do, too". 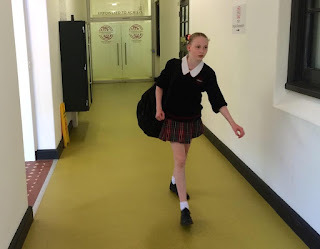 Emily's School Principal (pictured above and who was the recipient of her Red Letter) was "incredibly impressed, particularly by her insightfulness and her honesty about the nature of what she was experiencing. It was a very well written letter. 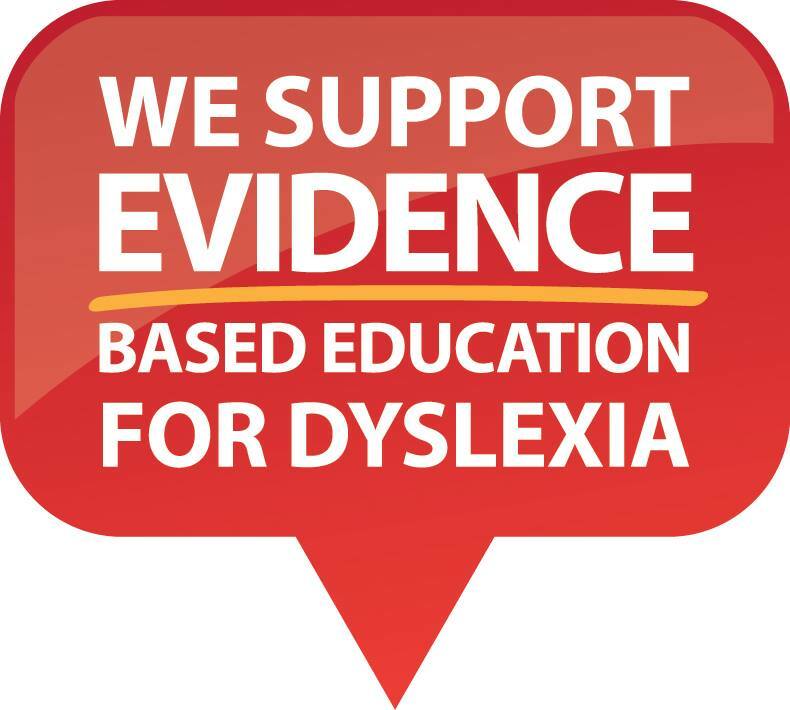 It was a reflection of Emily’s commitment and her poise"
And since receiving the Red Letter the school has worked to make teachers aware of what Emily and other dyslexic students experience. 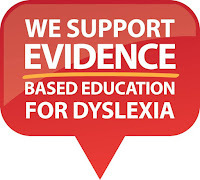 Emily's Mum Katie says that the school was beyond responsive to Emily's concerns. “I didn’t expect such an amazing response,” she said, describing the teachers’ extra attention in assisting Emily. “This has just been a really wonderful experience. People don’t acknowledge it because they look fine, but there’s this hidden struggle that you find." Emily says "I'm really happy that I found out that I’m not actually stupid, but just that my brain works differently, and the reason that the Red Letter competition was such a good idea is that people can say what it’s like to have dyslexia, and how hard they try, so people can realise and acknowledge it”.